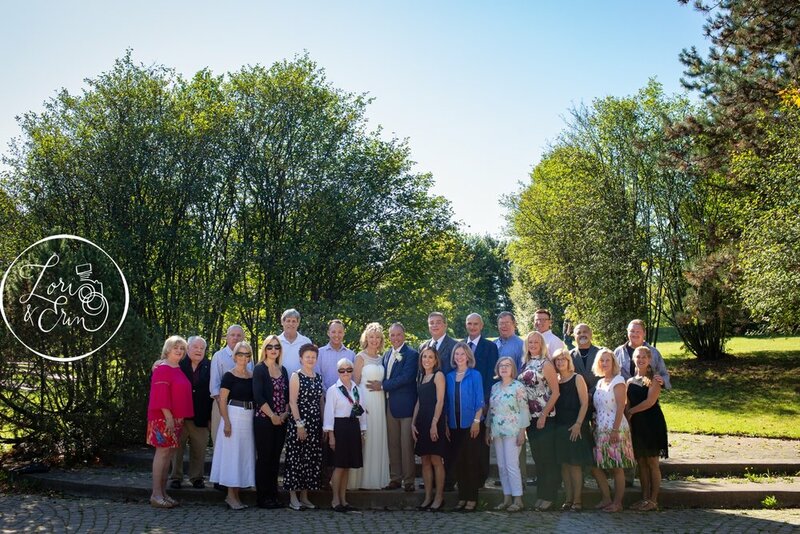 What an amazing year 2018 was for our wedding couples. Normally our wedding season begins in the spring, but not last year. In 2018 we actually had our wedding season start in January with a windy 50 degree day for Ryan and Stephanie. So you can imagine how many amazing moments we were able to capture. The thing you’ll notice most about them, is that they’re full of emotion, love, family and friends and fun. Nothing makes us happier than capturing these real moments for you. The emotions shared are real - tears of joy, laughter and excitement. The moments are real - they won at the casino, they danced and played air guitar with broomsticks, the flower girl chased the flower petals that blew away. The bridal parties were always fun and supportive. It was truly an amazing year, filled with wedding couples that we believe we were meant to meet and share their day with. It’s always an honor to be asked to photograph these moments that truly cannot be replaced. So if you were one of our 2018 couples - thank you for your trust and for being amazing human beings. We’re honored and grateful for you every single day. We talk a lot about our wedding albums and how we feel that every couple should invest in their first family heirloom. But one of the other things we don’t talk too much about is how we also think that your parents deserve some love too. After all, they raised you and supported you through the whole wedding process. They deserve to cherish this moment in an heirloom too. Our custom mini albums are the perfect way to say thank you. 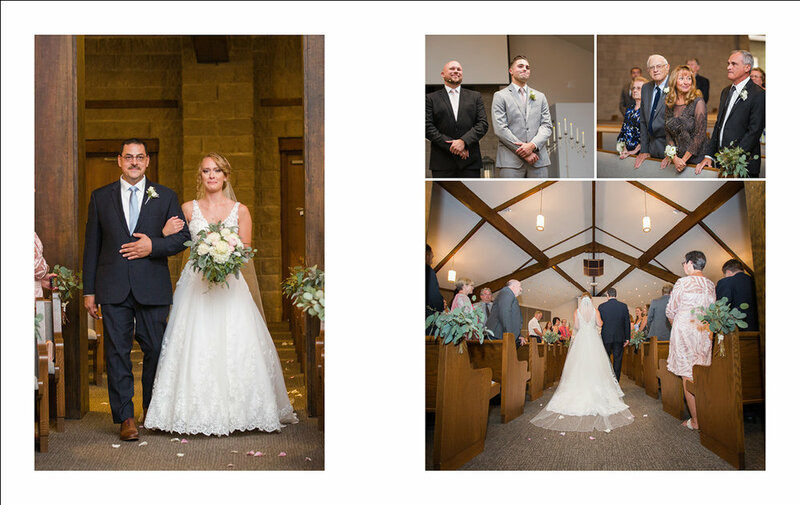 Amber and Jason felt exactly that when they picked out their set of albums from their Jerris Wadsworth Wedding Barn day a few months ago. I wish we could have shared in the joy of actually giving these books to their parents this past holiday. But knowing we created something beautiful and timeless for them - and that is the perfect amount of joy for us. A few months ago, an invitation came in the mail. John and I were invited to a wedding, as guests! I filled out that response card as though I wanted to be the first RSVP, because I did. I was going to be there with bells to cheer on one of my oldest friends and his new wife. I know you are thinking it, so let’s get it out of the way. 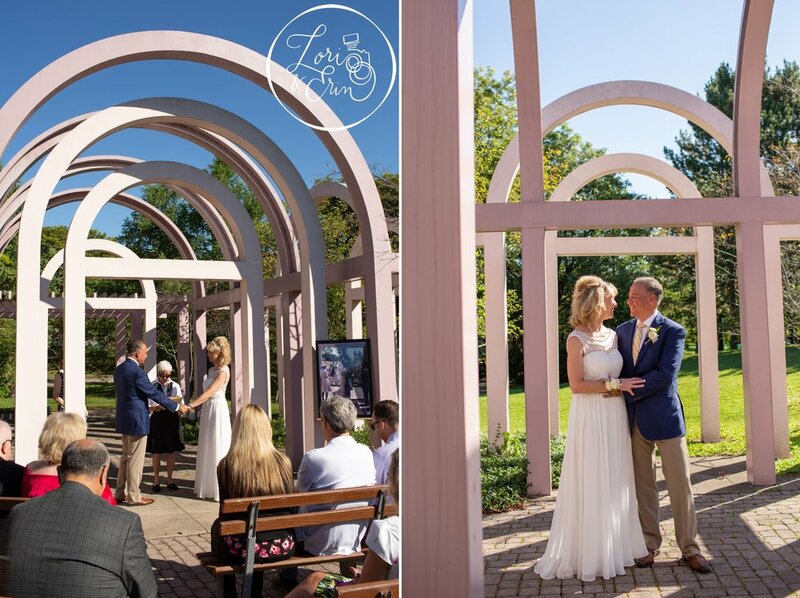 I knew they had hired a talented photographer, and I trusted the pros to document their day. So, no. I did not bring a camera with me. I barely even took any photos, and most of the ones I did take (with my phone) were blurry. Don’t get me wrong, I love photographing weddings! There is nothing like documenting a wedding day. From the nervous energy we see at the beginning of the day, to the tears and love during the vows, to the unbridled dancing at the end of the night. It’s a great job, and I feel lucky every time a couple chooses us to be the ones to do it. Throughout the night, it came up as I chatted with old friends. I have to admit there are pros and cons to being a wedding guest. I thought it would be fun to share a few of those with you! Pro: I could clap and participate in the wedding. This may seem silly, but for the first kiss, pronouncement as man and wife, introductions… those are all moments I am normally capturing with a camera. As a guest, my hands were free to clap and cheer, and that felt wonderful! Con: The view isn’t as good. When I am the photographer, I get to move around to find the best angle. That’s my job in fact. Without looking through a 200mm lens, it was harder to see the bride or grooms faces. Pro: As a guest, I could eat without feeling self conscious! It’s kinda funny really. As a guest, I wasn’t nearly as hungry, but probably ate 3x as much as I needed to. As a photographer, I am often staring longingly at the hors d'oeuvres, wondering if anyone will judge me for grabbing a carrot. It’s not to say that we don’t eat when I’m working, but we eat much faster. Often, when we have time to be seated for a meal, I feel guilty, as though I should be doing something, rather than eating. Con: There were a few moments I wished I had a camera in my hand. Watching Mike wipe tears from his eyes as Abby walked down the aisle, I was torn. Part of me was so happy to be there as a witness, and part of me wished I could freeze that moment with my lens. Perhaps my favorite part of being a guest though, was that I had my husband by my side. Working weddings every weekend, I get to hear lots of amazing love stories, romantic songs and see beautiful venues. They often remind me of my own love story, and make me wish I could dance that slow song with my husband. Well, this time, I did. I could hold his hand during the vows and laugh with him during the toasts. It was such a wonderful way to end “wedding season.” So thank you Mike and Abby! I am so glad you found each other. Your love is a beacon and an example to others. Thank you for inviting us to bear witness to it on your wedding day. As fun as it is, I’m not singing about Christmas. It’s album delivery season! The weddings are done for the year, which you might think means I to sit back and eat Christmas cookies from here on out. Nah, not me. I sit back, eat Christmas cookies and design custom wedding albums. 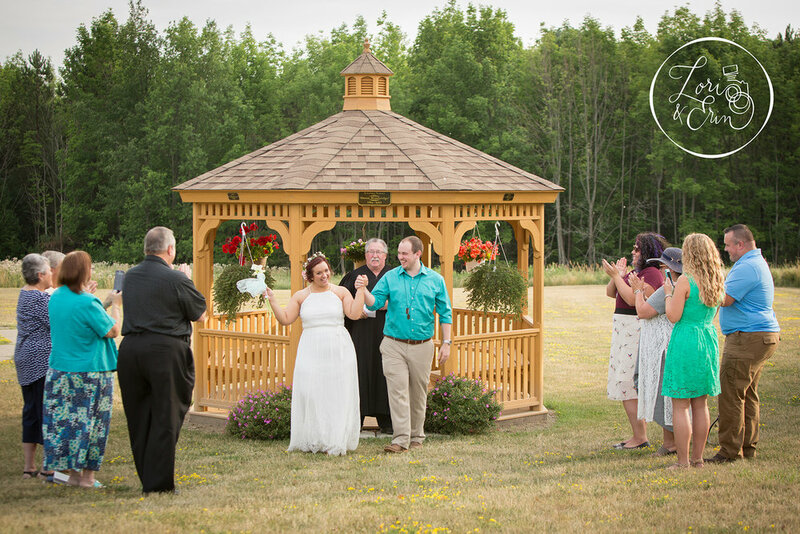 Albums like Laura and Patrick's from their gorgeous July wedding in Geneva NY at Ventosa Vineyards. The bright, blue sky and amazing sunset on their wedding day just shines colorfully in this album. I know they’re excited to have it, to cherish those moments and someday hand them down to their own children. If you’ve been on the fence about giving yourself the gift of a wedding album, trust us, it’s worth it. It will only increase in value to you as the years pass by. Monica called me in September for their wedding in October. I’m so thankful we had their date available because while I barely knew them, I could tell they were so sweet and so in love. They were ready for their married lives to begin and I was happy to document it for them. 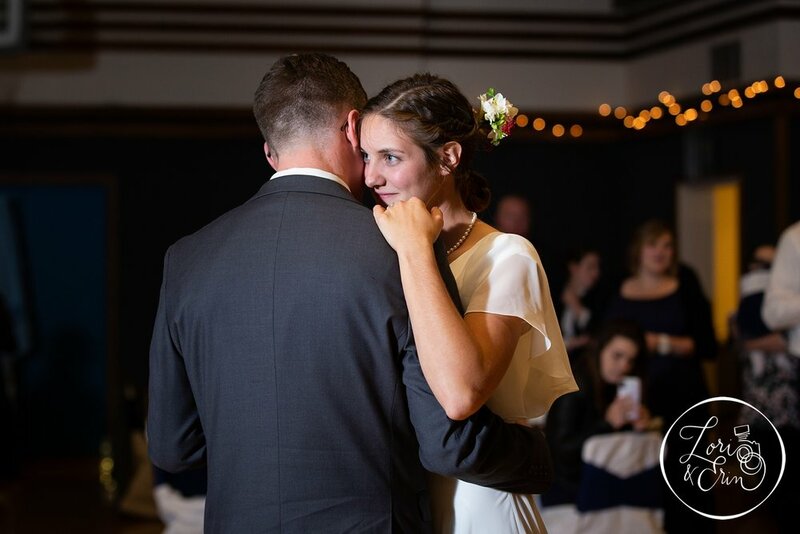 From the moment of their first look to their first dance hours later, they were nothing but eyes full of real love and adoration for each other. It was so inspiring to be part of this day with this amazing family. Congratulations Monica and James, we wish you a blessed and beautiful future together! It’s been 30 years of ups, downs and all arounds, but here they are. In the same spot where they said the original wedding vows, 30 years ago. The trees are a little taller, their love a little stronger. Surrounded by their closest friends and family, they shared their love publicly and yet intimately. I felt honored to be there as a witness to this moment. This renewal, this promise repeated. We often see the start of a marriage, the first few amazing hours of it. It’s lovely to revisit that love over time and see how it matures. Thanks for letting us bear witness to your journey. Wishing you 30 more!